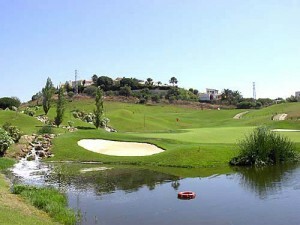 Opened in April of 2001, the 18 hole Cabopino Golf was designed by Juan Ligues Creus. It is 5170m long, par 71 and renowned as a short and sweet course that will have high handicappers using every club in the bag. Situated almost exactly half way between Marbella and Fuengirola, Cabopino it is in a very scenic location between the mountains and the sea, overlooking Cabopino harbour. 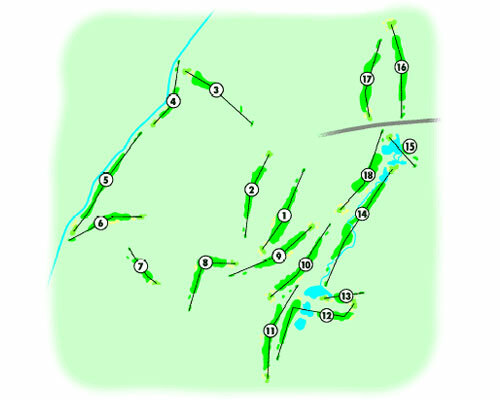 The course has three par 3’s, two par 5’s and thirteen par 4’s. The greens are large and usually in excellent condition thanks to the recycled water irrigation system which feeds lakes that come into play at the 12th to the 15th holes. The course is lined and dotted with umbrella pines, olives and acacias and mainly gently undulating with some elevated greens and large cleverly positioned bunkering. The 3rd is the course’s signature hole, with a very unusual tee box cut into the cliff face with the fairway lying 200m below. Don’t forget to bring your camera! The green is elevated and protected by a large front bunker. The 5th is the most challenging hole, at a stroke index 1, this 378m, par 4 hole consists of a very narrow fairway with lateral water stretching from the tee to the green on your right and an out of bounds on the left. Most recommend to play safe and to use 2 mid irons and a wedge to make par. Low handicappers will undoubtedly have to take risks to get good results on this course. There is ample parking at the clubhouse, where players can relax at the very pleasant bar / restaurant overlooking the course, changing rooms with showers and sauna and a Pro Shop. It is here at the Cabopino Pro Shop that you will find the fully fitted, P.G.A. standard Custom Clubmakers International workshop. Titleist and Cobra sales, warranty and repairs are available here as well as an extensive club fitting programme. Cabopino has a driving range and golf school offering pro. tuition with Carlos Domingues Moreno. Clubs, trolleys and buggies are available at the Clubhouse.